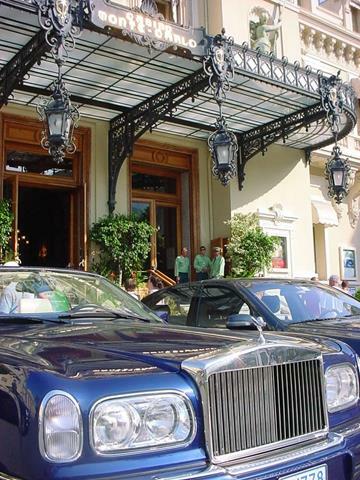 Full of fast cars, famous faces and fat tourists, Monaco is the playground of the rich. It is a tiny country, surrounded entirely by France (except at the sea shore!) and situated between Nice and the Italian border. As a tax haven it attracts lots of rich folk, who also come here for the great weather, beautiful scenery and annual Grand Prix through the winding streets. I don't know what mad hatter originally decided to have a race with the fastest cars they could find in such a densely populated area, but it makes for good telly viewing. Which is how it is recommended to see the race even if you are here for it, the place is absolutely heaving. 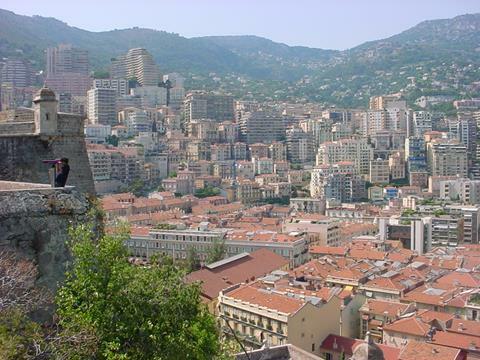 We were in Monaco for most of a day and walked around most of the country, such is its size. The visit to the Royal Palace was interesting as was spotting bits of the Grand Prix track that you always see on TV. Whilst on the train a helpful old man was showing us the good places to go and see on the map, he told us he had been living between Monte Carlo and Bamff, Canada for the last twenty years, working in the international oil business. When asked what company he was with he replied "oh...mine". Cool. 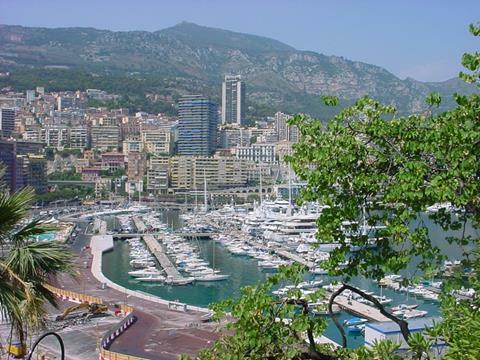 Port Hercule as seen from the hill of Monaco-Ville, with the marina and the swimming pool which marks the starting line of the Grand Prix. 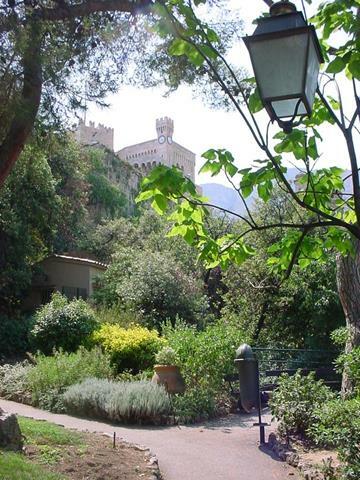 Walking up to the Prince's Palace, seat of the House of Grimaldi in the July heat was tough work, and to make matters worse I was barked at by a guard to put my t-shirt back on, which I had been using to dry my face. Me being me, it wasn't until after taking the palace tour that I realised Princess Grace of Monaco and Grace Kelly were one and the same. Looking from the palace away from the marina over the red roofs of the city. The mountains in the distance are of course part of France. 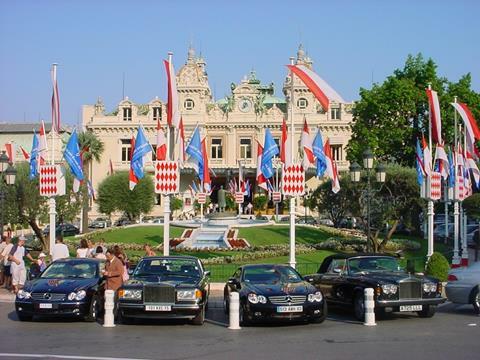 James Bond's favourite casino, the Casino Monte Carlo, and a flashy car, as of course they all are. I would have had to pay ten Euros to get to the tables inside, but not being a gambling man I decided just to use their bathroom. It was a little worrying sitting on a toilet that was plugged into the wall and had LCD displays, but the self cleaning mechanism was a marvel to watch. 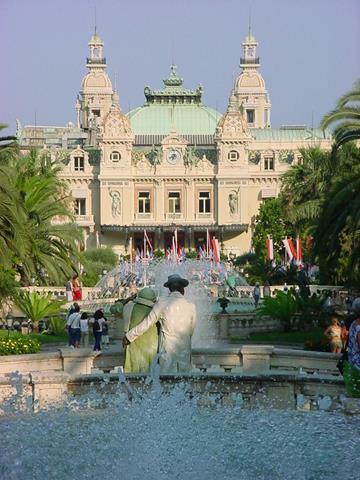 Again the casino as viewed from the gardens which extend north, full of statues of people in classy 1920s style clothes, just like the people you see here. 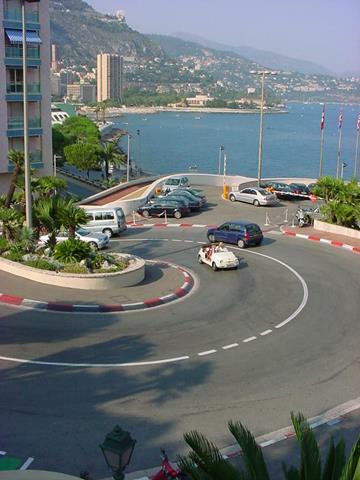 A most striking feature of the wealth of Monte Carlo is the quantity of quality cars crusing around the place. Staggering amounts of Rollers, Bentleys, Daimlers and top-spec Mercs litter the casino square, with green-hatted chaffeurs strolling up and down. Every five minutes or so a Ferrari or an Aston Martin would growl past, or perhaps a concept car or two from the mass manufacturers showing off their latest creations. Here we see two Rolls-Royces and a couple of Mercedes coupes, with the backdrop of the casino. 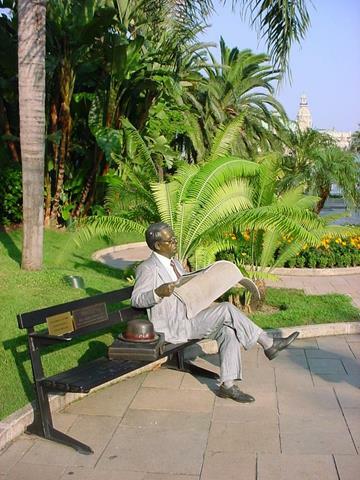 One of the period statues which decorate the area around the casino, with all the green foliage it makes a nice picture. 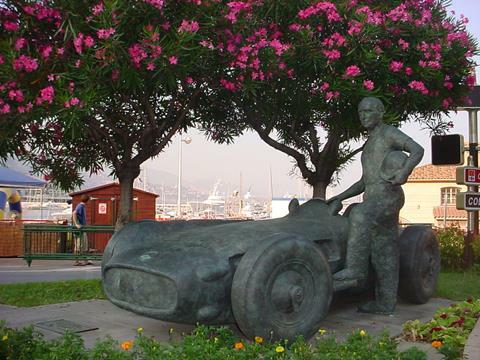 The most famous event or attraction in the Monaco calendar is the Grand Prix which brings the top names from the F1 business in year after year, and has been doing so since not long after the dawn of motorsport, as this commemorative staute near the start line shows. It's possible to walk around the entire F1 track, at least on the pavements as the roads are in everyday use. The red and white blocks at the tight turns are permanent, but the roads are repainted for the race and then repainted after, in part because the F1 cars strip most of the paint off the road. This section is at the back of the casino, the cars go down the curve of this hill. 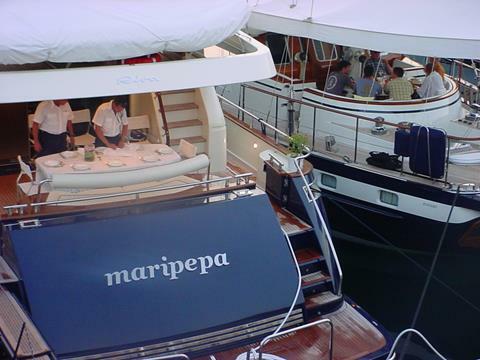 You know you've peaked in the world of the posh when you are sitting having dinner with friends in the back of your yacht in the port of Monte Carlo, whilst the waiters on the yacht next door are polishing the cutlery and uncorking the Moet. Cheerio!